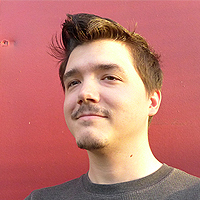 Ben Pope is an independent video game developer from N.W. Ohio striving to show the creativity technology allows anyone to have. Many aspects of video game design are connected to the arts and literature as well as math and logic. Ben wants to remove the mystery surrounding interactive 3D applications so that others can learn and express their creativity. Having a Bachelors of Science from BGSU, Ben has experience with many different fields of programming and wants to help teach the community how to use these tools in fun and effective ways.